MOTO X - A tough rival for Samsung Galaxy Grand 2? MOTO X – A tough rival for Samsung Galaxy Grand 2? The first quarter of 2014 has ended with introducing many new smartphones in the marketplace. The most heated segment till now is the phablet segment, where almost every smartphone manufacturer launched its latest offering. In competitive marketplaces like that of India, many new smartphones were launched in the first three months of 2014. 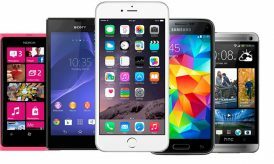 But the biggest challenge for manufacturers was to launch smartphones at competitive price tags, which will definitely contribute in bringing huge sales reports for the company. Following which, Motorola launched its second smartphone of this year, naming as Moto X at a competitive price tag of Rs.23, 999 for the 16GB version. After the huge success of Moto G, the manufacturers have stepped into a bigger segment, where it will compete with various other best selling smartphones. Earlier this year, Samsung launched the Galaxy Grand 2, the successor of much popular and best selling Samsung Galaxy Grand in India. 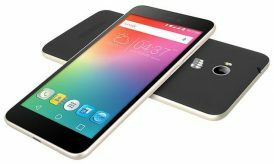 This smartphone is available with a price tag of around Rs. 21, 000 in the marketplace. Both these smartphones are fairly priced and the duo grabbed great attention prior & posts their launches. Their success has proved once again that the Indian buyers love buying smartphones with big screen size. 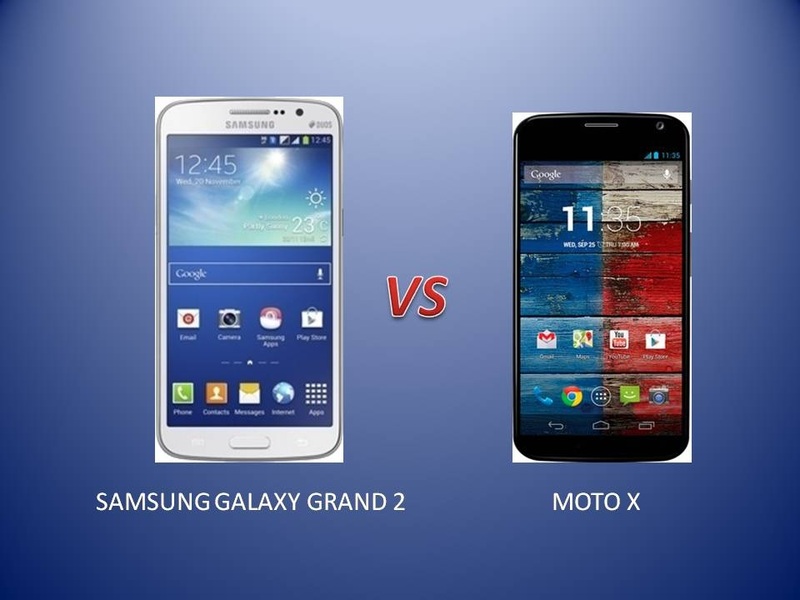 However, Moto X is emerging as a tough rival for the Samsung Galaxy Grand 2. People get confused to pick one out of these two. Here, we bring you a close comparison test between Samsung Galaxy Grand 2 and Moto X.
Samsung Galaxy Grand sports a 5.25-inch TFT Capacitive Touch Screen display, which produces a resolution of 720 x 1280 pixels at 280 pixels per inch. 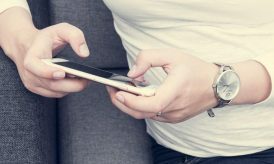 Whereas MOTO X sports a smaller 4.7-ich AMOLED Capacitive Touch Screen display, which produces at the same resolution but with a better rate of 312 pixels per inch. Samsung Galaxy Grand 2 is powered by a 1.2GHz Qualcomm Snapdragon Quad Core Processor coupled with 1.5GB of RAM. While, Moto X is powered by a 1.7GHz Dual Core Krait Processor coupled with 2GB of RAM. We could say that Moto X would be a faster smartphone than Samsung Galaxy Grand 2 because of its ample 2GB of RAM. The Moto X can easily play huge applications and HD games without any lags which may occur in the Grand 2. Samsung Galaxy Grand 2 runs on Android 4.3 Jelly Bean OS. The manufacturers may roll out its update in future. Moto X runs on Google’s Android 4.2.2 Jelly Bean operating system out of the box, which could be updated to Android 4.4 KitKat operating system. 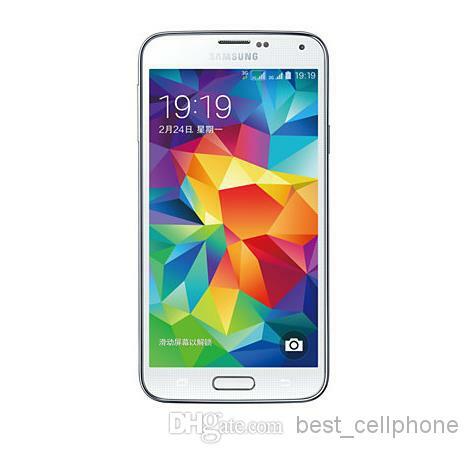 Samsung Galaxy Grand 2 houses an 8 Megapixels autofocus rear camera featuring LED flash. It can record Full HD 1080p videos at a rate of 30 frames per second. This smartphone also packs a 1.9 Megapixels front camera for video calls. Moto X houses a 10 megapixels autofocus rear camera, which also features LED flash and Full HD 1080p video recording at same rate. This smartphone packs a 2 Megapixels front camera for video calls. Other camera features on both the smartphones include geo-tagging, Panorama, touch focus, face detection, HDR and more. Samsung Galaxy Grand 2 packs 8GB of internal memory, which can be expanded up to 64GB using a MicroSD card. Moto X is available in two variants featuring 16GB & 32GB of internal memory. However, both the variants lack an external MicroSD card slot. For Connectivity, both Samsung Galaxy Grand 2 and Moto X supports almost similar connectivity features like 3G, GPRS with EDGE, Wi-Fi, WI-Fi Hotspot, GPS with A-GPS, GLONASS, DLNA, Bluetooth 4.0 with A2DP, EDR, LE and other standard options. Samsung Galaxy Grand 2 is fuelled by a 2600mAH battery, which claims around 17 hours of talk time. While,Moto X is fuelled by a weaker 2200mAH Li-ion battery, which claims only 13 hours of talk time. In the end, we can easily say that both Samsung Galaxy Grand 2 and Moto X are well enough to cater your smartphone needs. We felt that Moto X sports a better display and processor. The 2GB of RAM on Moto X is also better than 1.5GB of Grand 2. Moto X won’t disappoint you in terms of performance. But it doesn’t mean that the Samsung Galaxy Grand 2 is underpowered. It carries the tag of world’s number one smartphone manufacturer, which has a better market share than that of Motorola. Hence, the final decision remains in the hands of buyer. Buying anyone out of two would be a great choice. Ajay Chauhan is an expert in handset and technology reviews. Currently he is working with 91mobiles which is a comprehensive web portal.